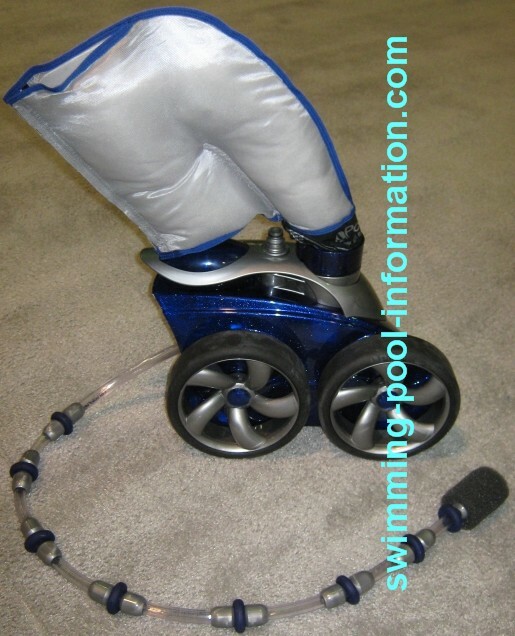 Pressure type automatic pool cleaners usually have their own dedicated pump,but some run off of the existing return water flow. 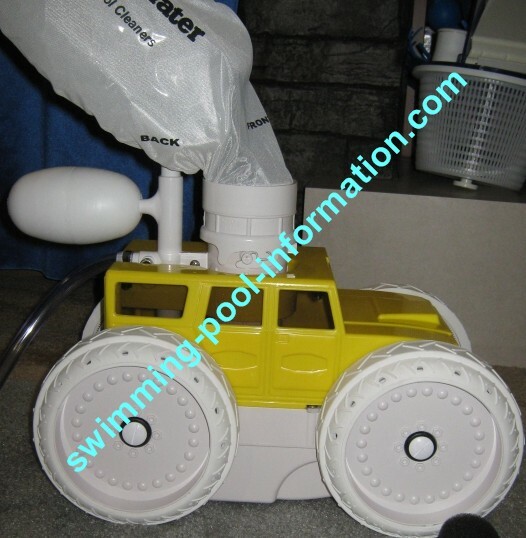 They usually have some type of bag which traps leaves and debris by the venturi action of water jets. The first three shown below are different versions of the Polaris. 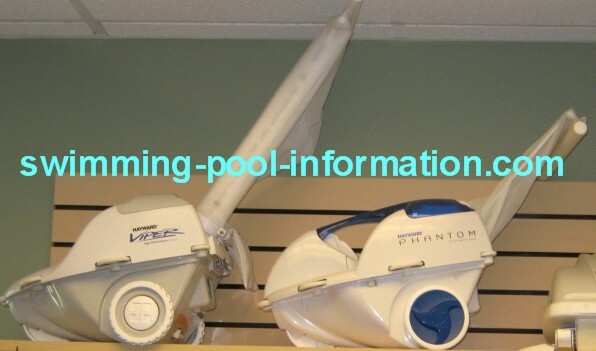 This brand was the first pressure cleaner to incorporate a bag to trap debris-before that cleaners such as the Arneson Pool Sweep (the original) just kicked up debris through weighted jets at the end of long tentacle-like arms. 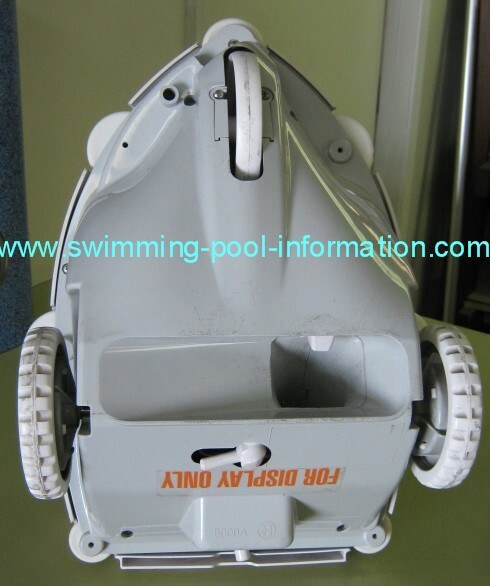 The Polaris comes with a back up valve that automatically backs the unit up every few minutes in case there is an area such as a step where the unit gets stuck. 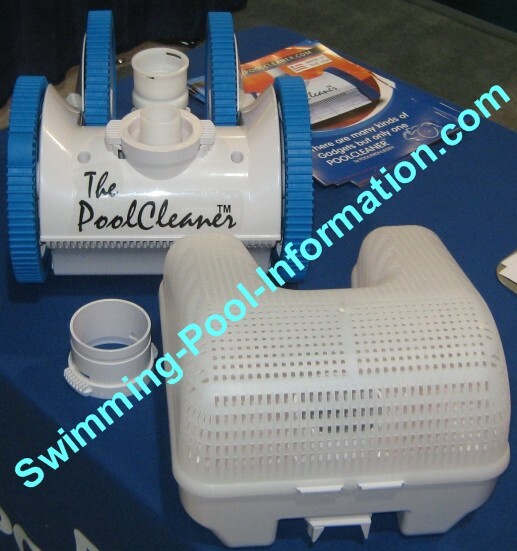 One version of the Polaris cleaner requires no pump-but generally your pool has to be specially plumbed for this at the time of being built. 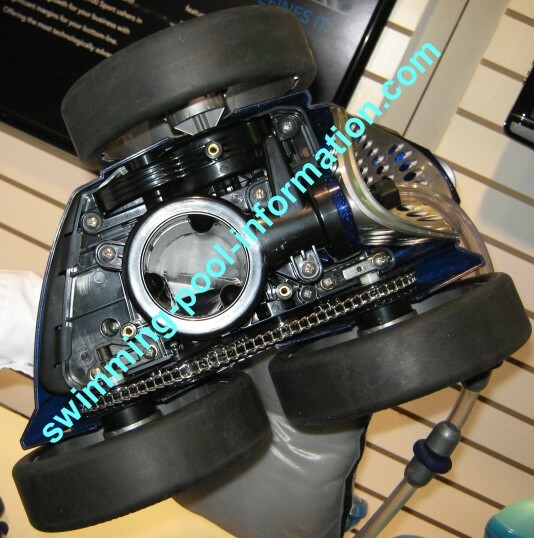 If your pool was originally built with a suction port for vacuuming or a suction type automatic cleaner,this port can be re-plumbed to the return side to install a no-pump version of the Polaris.